I met (safety ) Stacey this fall as we trained together to become Child restraint Passenger Safety Technicians, or as the Facebook moms groups call us “Car Seat Techs”. Instantly I took a liking to her as CLEALY she is a car seat advocate and is passionate about this subject. I asked her to write a guest blog post for me and BAM, 2 days later it was ready! Enjoy! As first time parents we are overwhelmed with information on how to care for our babies. We are bombarded with brochures on breastfeeding, vaccinations, allergies, baby proofing, and how to prevent SIDS. 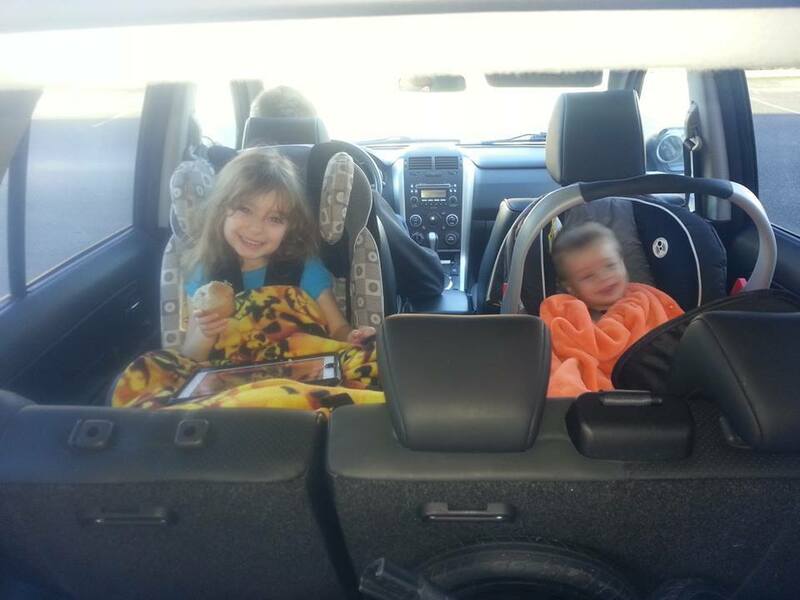 As a mom whose nickname is “Safety Stacey” I believe that all of those things are important for new parents to learn about; however, our health care system is seriously lacking in a major department… Car seat safety. Do you know that car crashes are the leading cause of death in children? I’m willing to bet that 99% of you reading this right now were given little to no details on how to keep your child safe in the car other than, “BUY A CAR SEAT”. If you delivered in a hospital a maternity nurse, not a professionally trained car seat technician, probably checked that your baby was strapped into his or her car seat properly. I can almost guarantee that they didn’t accompany you to your vehicle to ensure the car seat was correctly installed there. Both of my babies were checked by a nurse on the maternity ward before we left but no further information was given to us. I had a whole package of paperwork on how to care for my baby once we were at home, but nowhere was there information on how to keep my baby safe in the car, other than that my baby should be rear facing for a year. If it hadn’t been for a Facebook friend referring me to a local car seat safety group on Facebook I would probably still know nothing about the topic. I’m proud to say that I am now a certified car seat technician who is dedicated to helping keep children safe. There are different stages for children in vehicles. 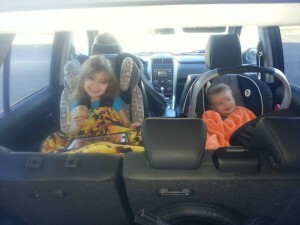 We have rear facing, forward facing, and booster seats. 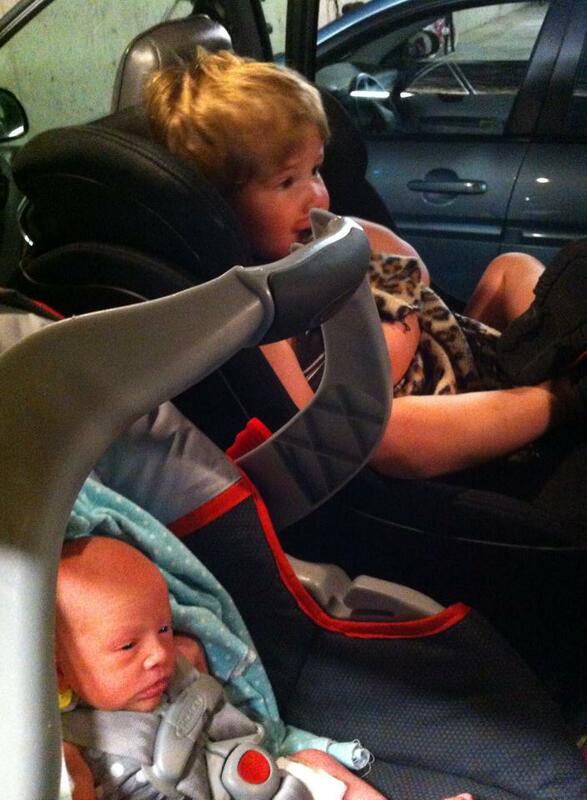 You must always follow the guidelines set by the car seat manufacturer (rule #1 – read the car seat manual!). Rear facing is safest. Best practices is to rear face until at least 2 years old, but if your seat allows it you may rear face for much longer (ex. My 21 month old might rear face until she is 4 years old because she is petite and we purchased her a seat that has very high rear facing limits). Don’t be too eager to turn your child forward facing. If you think that your toddlers legs are getting squished and uncomfortable consider this statement, “We know how to fix broken legs, we don’t yet know how to fix broken heads.” My wonderful CPST instructor said this in our course and it resonated with me. When you do begin to forward face you’ll want to make sure you read the manual once again. Installation is much different from rear facing and even how you harness the child differs. The same goes for a booster seat. Boosters also have a lot more to do with maturity than age, height or weight of the child. If your child can’t sit appropriately in their booster seat for the entire car ride then it’s best to keep them in a 5 point harness. 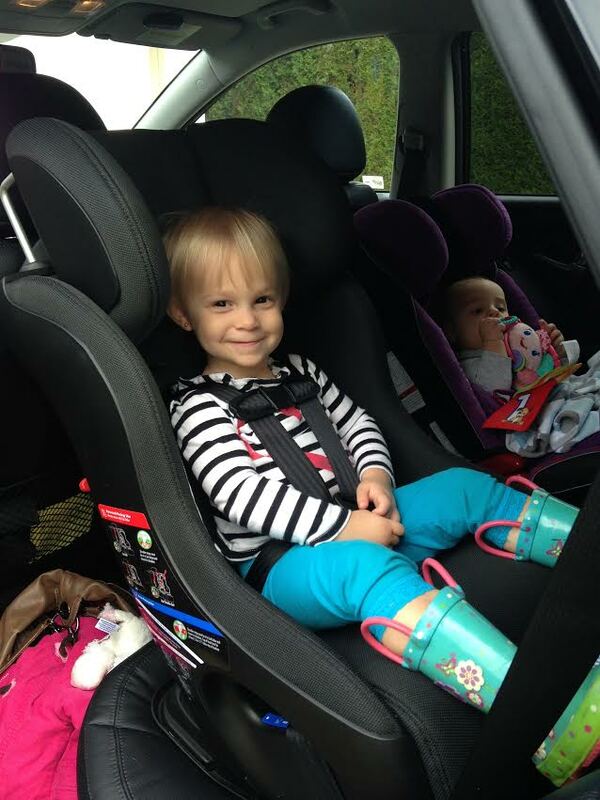 A booster seat isn’t going to do any good if your child is twisting around to make faces at their siblings in the seat behind them or wearing the seat belt under their arm or behind their back. 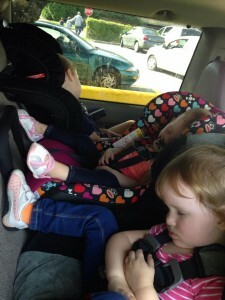 I always say that it’s better to err on the side of caution when it comes to car seat safety. Remember, vehicles are the deadliest weapon on the road and we as parents and caregivers are responsible for properly restraining our little ones. As we approach the cold winter months it’s very important to mention after-market products. An after-market product is anything that was NOT sold with the seat when you purchased it. Some examples are: seat protector pads, cute fuzzy harness covers, dangly toys that attach to the car seat handle, bundle bags, mirrors and sun shades. Any of these things could interfere with the protection your car seat provides for your child or could act as a projectile in a crash and severely injure or kill your child or another passenger. The same goes for projectiles like laptops, tools, hard toys, dogs, etc. Basically, anything that you wouldn’t want flying at your head at 50km per hour (the average speed that crashes happen at), then don’t have it loose in your vehicle. If you’re ever in doubt regarding car seat safety please contact a certified car seat technician.